Car wash operators are always looking for ways in which to both cut costs and save time. 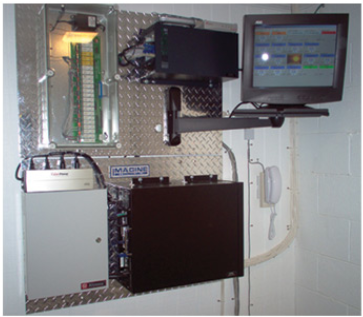 Most new car wash facilities start with both a monitoring system and a video surveillance system from day one. Many existing facilities are seeing the need to create accountability for not just criminals, customers, and employees. Monitoring systems keep honest people honest and helps eliminate shrinkage as well. Video Surveillance - Be aware when your not there. Car wash operators already know the value of having a digital record of what happens at their wash when they are not there and when employees ARE there. Having cameras in each bay that can be viewed from the comfort of your home office can help you sleep better at night knowing all is safe and secure. Modern camera systems are now accessible through a Internet connection at your wash which puts you one click away from seeing your facility. A second value in getting a video system is in an instance in which a customer makes a false damage claim. “Your machine dented the side of my car, you need to pay to get it fixed!” is a common thing heard by a wash operator. These instances are quickly put to rest when an operator can show footage of the vehicle (already damaged) when they drove in onto the lot. If a picture is worth a thousand words, imagine the worth of 10 seconds of video footage! Having quality video footage can help you work closely with local law enforcement to catch destructive vandals and would-be thieves as they destroy your wash equipment in order to get at the money inside. Posted on July 22, 2008 by Perry Powell and filed under Marketing.